This week’s episode features Wendy Pienaar, Banking Executive at one of the largest African Banks in South Africa. Starting in a global consulting firm, and then moving into the banking world, she’s spent her career building and growing women. We discuss life as a female leader in the corporate world, and how each one of us can build empathy and the women around us. In addition to leadership and career, she discusses raising 4 girls, and the challenges of building women as warriors AND princesses. Lisa Linfield: 00:09 Hello everyone, today I’m joined by Wendy [Piner 00:00:24], who’s a payments’ innovation lead at a large bank in South Africa and a really, truly inspirational women, especially in terms of what one can do in a large corporate environment. I think so many of us think that because you’re in a corporate environment, there’s not much you can do to change the world, that it’s all those crazy entrepreneurs that change the world and corporates just keep going. But in fact you’re living proof that that’s not the way it is, that each human being can change the world in the environment that they’re in. so Wendy, you are passionate about helping women and helping women to succeed and grow and redefining themselves as leaders. How did this come about? Wendy: 01:06 Thank you very much. It’s great to be here today and I’m always really happy to have this discussion. It’s a nice break from work, so thank you. I think it started off probably early on since I was a young child, always knowing that and feeling girls can do anything they want to do. I think entering the workforce with a global consulting firm, they were very aware and very focused on gender equality, which is a great beginning and at the very beginning I found that I was very much focused on people like you and I and how we can help each other so really helping women in the workforce. I laid the women’s forum, we did a whole lot of activities and as I got older I started realizing that lots of women were leaving the workforce. There was then a huge focus on flexible work hours and trying to show women that it’s possible to have a family and also have a successful career. So I think the real beginnings were very much around helping women in the workforce. Lisa Linfield: 02:09 And who were your role models as you grew up that made you become so passionate about this? Wendy: 02:15 Yeah, I think it was a bit around the role my mom and dad had at home. It wasn’t traditional, so already I came from quite a non traditional background where dad did a lot of the cooking and the shopping and I think at the end moved onto people I knew like my aunt who was quite senior in some of the retailers and I used to watch her go to work and watch her be very involved in her career. Then after that I think it was very much having great mentors at the consulting firm and so they were a number of senior partners that were women. They were women with children and I saw it was possible to have a very full life of both career and family. Lisa Linfield: 02:56 Sheryl Sandberg in her book Lean In mentions the strong role that it requires a husband or partner to play in this whole game and I always remember my grandmother who was one of the founding members of the black sash movement and she said to me, “The challenge that we all left you with is that we told the women that they could do anything. The problem is we didn’t tell the men that they have to adjust.” Because there is no such thing as being able to do everything unless there’s someone else that’s like your dad helping in the house and doing the cooking and helping with the shopping and things like that. In my own marriage John does all the cooking and all the shopping so I wouldn’t be able to do what I do if my husband didn’t step up. Do you think that’s accurate? Do you think that’s important? Wendy: 03:50 Oh, absolutely. I mean, part of … even at the consulting firm, part of what we did was creating awareness for a lot of our male colleagues in their own workplace as well as at home, but how important it is to understand what a woman wants to do and how to support her and to her to have a mutually beneficial relationship. I think with Ian and I, my husband and I, it was very clear right from the beginning that I wasn’t going to give up on my career and I completely agree with you, he’s been an amazing support for me. He’s a lot more flexible in his hours, so he does a lot of carting back and forth, he’s very supportive of my career. If I’d had a very traditional partner, this wouldn’t have worked. Lisa Linfield: 04:33 Yeah, and I think that’s usually important to establish upfront in a relationship for younger women is that if you want to continue your career, you need to make sure that your husband’s or your partner or all your support structure is online because there are many women who are single moms. who’d like to have it all but can’t do that. You mentioned that in your first job for an international consulting company that they had a great woman’s program. How influential was this in terms of how you handled women’s issues in your future jobs? Wendy: 05:06 Yeah, I think there were a lot of things. I think it was the way we did performance management and making sure that there was no gender bias in the way we did performance management. It was opportunities that were given to females and males in terms of great new roles or things that could be done. I never felt, especially on that international firm that there was ever a reason for me to feel the glass ceiling or I couldn’t do something as a woman. So it was very supportive environment and you actually don’t realize it until you see some of the other stuff that happens outside of that environment. So one I think it’s absolutely important to do the whole performance management in the most equal and fair way possible. It falls down there a lot and I’ve seen that in other companies, hard falls down. I think the other thing is very much around the way and as we spoke about, so ongoing awareness all the time around what it means. Then the other one is my whole passion which is helping women at work and learning from my mentors and learning from people that I worked with is how do we support each other and I think there’s a lot of Nice things and easy things that we can do to make it easier for women to succeed. Lisa Linfield: 06:19 Such as? Wendy: 06:20 One of the big ones for me is around a meeting. We were in a meeting and there are a number of females in the room, females tend to be more interrupted by males and anyone else and one of the things as a female fellow colleague is to say, “Hold on, Lisa hasn’t finished talking yet. Let her continue.” So there’s just little techniques that you can use to support each other. Hold on, let’s listen to her is a lovely way, not being scared to continue talking when you get interrupted. So one is very much around, I think the conversation style that you have, it’s never going to be aggressive but it’s about being sure of yourself and helping other women. There’s some other great ones, women often deflect compliments. So if you’re at work and I say, “Lisa, you’ve had a great day today. Well done on this project or this initiative,” often a woman will say, “Oh, it’s the team. No, I haven’t quite finished it.” And I think as women we’ve got to learn to take that success and we’ve got to say thank you and we’ve got to own it, so that’s another one. I think conflict style is a massive one and it really links to a topic you and I have discussed around princess culture, but the conflict style is around saying how do women show up at work around how they manage conflict and it’s really interesting. My team and I did a conflict management survey at the end of last year and in there you then get classified in terms of what types of conflict style you’re most comfortable in. It was fascinating to see the men mostly we’re competing so their conflict management style is it’s my way or the highway, whereas the women in the room and my colleagues tended to have an avoidance or compromising style. The aim is to have more of a collaborating style where, you know, let’s work on it together, but it was fascinating to see it right there in my team that all of my female senior managers had a compromising avoiding style. So I think thinking about your conflict management style and being confident enough to face conflict head on is another key one that I always talk about. I think there’s small things that we can do to prop each other up at work. There’s things around our own style, not saying sorry, stopping people getting interrupted, owning our success and then thinking about how we manage conflict. We often back away from i and as a result of that we are worse off. Lisa Linfield: 08:55 You mentioned the princess culture. What is that? and so I find some interesting research done by Granada University, they surveyed I think it was 651 characters and 123 cartoon movies, animated programs, et cetera. And what’s fascinating is that women or girls are always portrayed in a specific way, so most of the time they’re not the leading character except for Wonder Woman and we love her, they’re not the leading character and what they portrayed as is they are portrayed either as a mom, a companion or a wife. Normally the villains or the superheroes i.e the stars of the show, are always men, that was the first thing. The second one is men talk more, an interesting movies such as mermaid I think men or boys in the movie spoke for about 81% of the time. Lisa Linfield: 10:33 Even though a lead character’s a girl. Wendy: 10:35 Yeah, in Aladdin it’s 91% of the time and so what does that tell us? And so what’s really fascinating is first you’ve got male lead roles all the time and then you’ve got males doing all the directing and the talking. So I think that tells us quite a few things about leadership and these are the ones that really fascinated me. It says to our children, number one, leadership is male, it’s an image that’s then with our boys and our girls. So the first one leadership is male, the second one is around saying that women get really emotional. In the movies there’s lots of scenes where girls or women are crying or emotional and their leadership style and I guess rational thought goes out the window, that’s the worst thing to be showing our children. The next one is to be leaders they need to act and behave like men. How often have we heard people saying, in order for me to get ahead, I need to behave like a male. Again, a terrible role model. And then I think the final one for me, which is a huge passion, is that a woman through these cartoons, through these movies often have to choose between having a successful public life or career and having a romantic relationship, which is just disastrous in terms of how we can grow characters. I think it became really interesting for me to create awareness about this and when I did this Lioness of Africa intro, it was about saying it’s not just about us, it’s got to be about our children and are we giving them different role models, are we showing them or reading to them different books, are we encouraging them to pray with a drone instead of paying with Barbie or Friends LEGO which is very female orientated. So in July when we were in the UK, I bought all the girls drones. It took me a while to take them past all the other stuff but they all got drones. So I think it’s creating awareness with female leaders that we’ve got to do this for our children, we’ve got to understand what it’s doing to them and the conditioning that’s happening, and creating that awareness not with our girls but also with our boys. I think a classic example I narrated last night, is that Mickey Mouse got the walk of fame, you know when they put the stars on the walk of fame in Hollywood, 40 years ago as a character, Minnie Mouse only got it this week. Lisa Linfield: 12:59 No way. Wendy: 13:01 It’s crazy the way that’s all just washed over us and we haven’t said, “Hey, what’s actually happening here and what is it actually doing to our kids?” So I think the movies they watch, the toys they play with, and the role models they have through the media in particular, is key to how we bring them up. So my message to the entrepreneurs and I guess my message to today around the princess cultures, we don’t want a bunch of princesses. What we do is we want a bunch of warriors and we’ve got to think about how we create our Wonder Woman. Lisa Linfield: 13:35 It strikes a chord with me because my twins for their birthday last year, I said, “What do you want?” And they said, “A train set.” and so I wrote to the moms, you know, you’ve got to invite two classes so that’s 40 kids, and I wrote to the moms on the WhatsApp and I said, “First of all, I know birthdays are expensive and I don’t support buying lots of gifts, so put only R100 in for your twin, you don’t have to buy for both twins because we’d like to buy a train set.” And so many of the moms came back and said, “A train set? What’s happening, my girls want a train set?” Then at the beginning of this year, the grade one teacher in order to get to know her said, “Tell us something about you.” And it said big goals, big dreams, that’s what it’s it, and Izzy drew she wants to be a train driver. Lisa Linfield: 14:22 [crosstalk 00:14:22] Like wow, my daughter wants to be a train driver. Wendy: 14:25 At least she hasn’t got the stereotype role models, right? Lisa Linfield: 14:27 No, she definitely doesn’t have stereotype role models, that’s also true. But I think we as parents forget how much we aid this culture. When I was teaching the grade notes about money, the one grade note said basically that her daddy was very rich, but he worked every single day and every single night. And I said, well, if he’s very rich, where does he do that? And he said, because my mummy wants more money and it’s that kind of stereotype that you’re teaching, go grab a good dude that’s prepared to work seven days and seven nights for you and then you can have more money and not I’m going to be the one that goes out and gets my own money. Wendy: 15:08 Yeah, and even if it’s not about money, I think it’s about purpose. For me the key thing is to teach girls about purpose and it could be volunteer purpose, it could be whatever type of purpose, but to have purpose and not to live your life by someone else’s goals and objectives. And I think that’s the biggest thing to instill in them is to install installing the warriors, as I call them, the sense that there’s something to fight for, there is a purpose in their lives, they can do anything that they want to do. I’ve got a classic example then I’ll continue with some of them, all of the characteristics, we were driving home on Sunday from horse riding and Francesca, my grade four was in the car and eight women bikers came up next to us. And I was like, isn’t that awesome to see eight women bikers on triumph, heavy bikes, riding together as a team and having fun together as a group of females in a very stereotype female sits in the back roll. And just celebrating that with her and showing her and creating awareness about, look at those role models. They are driving their own bikes, they all are together on their own bike run, they are having fun. I thought that was such a lovely example and I knew this was coming up to actually talk about how we can create awareness with our children. I asked Francesca last night, she was listening to me prepare a little bit for today and I was talking to some of the points and she said, “Mom, girls can do anything guys can do and sometimes better.” And I want her to keep that, I want her to keep it that she can do anything she wants to do and very importantly, one of the other things about warriors I think is take risks. Too often with our girls, we go, ” Be careful, don’t hurt yourself, don’t do this, don’t do that.” And I think we’re teaching them not to take risks, especially because we will let the boys do it. We’ll let the boys climb the trees and swing and whatever, but it takes a lot of changing your background and upbringing to let them climb, let them do an extra branch and swings through the full fee lads, let them take the risks and then I think that moves into what we’ve all been talking about which is entrepreneurs and how do you take risks. So I think moving from a princess culture, and I don’t say get rid of the whole princess culture, I think you can be a little bit of a princess and a warrior, but I think moving from the princess culture of pink and soft and fluffy and secondary roles into being your own person and showing kids like I was saying, beauty is … true beauty is courage and braveness and curiosity and kindness for me is beauty and it’s not about being the prettiest school in the class and it’s massive when they become … I could even see it now with our girls as twins. They’re already starting to be aware of how they look and they’re really focusing on what’s inside. I think good role models is absolutely key, I think fostering empathy, I don’t know how you’re doing it, but I found in today’s society, especially with our girls, it’s hard for them to understand what it’s like to be from a different background, to have a less privileged upbringing. So how do we foster empathy and awareness which will then help with leadership. I think that’s another one for me as a warrior is you need to be confident in yourself, but you need to be able to understand people so you’re not just this aggressive person, but you actually are assertive with feelings. I’m sure you’ve also had it, but in the workforce we often get those two confused and so changing our goals I think at an early age is so important to give them the right building blocks. I think the final one for me is around being healthy and fit. You want to give your girl some of those Wonder Woman capabilities, to have a healthy diet, to be fit, to have levels of self control, to be passionate about life because they feel good. And so I think the worry I’m trying to grow up has got all of these factors so it’s not an easy task. Not an easy task given what’s happening in the media, what happens at school, what happens with teen girls and boys schools, it’s not easy. Lisa Linfield: 19:38 How are you role modeling empathy because that’s quite a hard thing to role mode? Wendy: 19:43 I think it’s like the example I gave with the bikers, it’s calling it out, it’s creating awareness. I mean every week we give a homeless man, and normally I prefer women but this guy has taken my fancy, outside the school there’s a guy, he has a wonderful demeanor and he was like I just got this connection point with and we’ve now all formed a relationship with them and each week we either drop off clothing, food, many every week so he knows he’s got a salary wages and girls teaching them that this is this guy and where is he sleeping and what is he doing? So that’s more from an underprivileged point of view, showing the movies or clips like they’re privileged clip that’s been doing on social media everyone’s stepping forward every single time you have a privilege and seeing who’s left behind, it’s just starting to create awareness. You’ve had swimming lessons but other children haven’t, you’ve had the ability to do OT and speech therapy, other the kids can’t afford that. From my own side I think that empathy really goes back to establishing a personal connection with people so at work and as a female leader, it doesn’t matter who I’m working with,= male or female, you’ve got to get to understand them on a personal level so you can give them empathy and I think trying to teach our girls the same. Get to know your friends, get to know what they like, what they dislike, what makes them scared, what makes them happy. I think another huge atomizers teaching our kids not to be bullies. You see so much in the media, so much at school and we’ve had a lot with our own school psychologist on it, that you need to give the girls the awareness and the empathy and if you do that, I think the bullying at school will come down a lot. Lisa Linfield: 21:29 I was thinking about this whole thing of getting to know people and it’s also letting people get to know you. I think so often in the corporate world we go, go, go because we want to outperform, but we don’t spend the time to let people get to know us. When I was in the corporate world, they did a three 60 review and what was fascinating is that my boss in my team thought I was a phenomenal leader. But as you got further up, people who didn’t know me, they just saw me as kind of a driving force rather than the human behind it and they didn’t know actually the depth of empathy that I had and how far I would go for my team and the things that I would do because they had less and less time to get to know kind of the human behind the thing. And I think it is a two way thing, you need to both strive to get to know other people, but allow people to get to know you especially in a leadership position. Because the natural imbalance of power when you’re a leader and they are not at the same level of you already creates a barrier that you need to make sure that you drop down. But we are so busy trying to overperform in work that we don’t take the time to stop and get to know the people on the extended project team or who are in the admin office who are delivering amazing things. It’s been such a huge lesson to me that real empathy is both ways where they can understand you and you can understand them and where it’s going. Wendy: 23:05 On a point like that, I always say bring yourself to work. So often people, male or female will not bring themselves to work in terms of the quirkiness about them, the great things about them, the growth points about them and as you said, form a wall that people don’t know anything about them. And I think bring yourself to work, be yourself at work within reason obviously is such a huge driver for that engagement you’re talking about. I think as you said, often women who are striving to succeed, to get ahead, that will be cut off and they won’t bring themselves to work and they will act more male and they will do certain things. I think if we can all be our souls at work, I think that engagement that you talking about and that empathy would be massively increased. Lisa Linfield: 23:58 You did something amazing recently in terms of helping someone else who was less fortunate to yourself in terms of your own family. Tell us about that. Wendy: 24:08 Sure, I think it was part of the journey. So as I said, the beginnings of my journey around us was very much around helping women in the workforce and I think that was very much through the career in consulting and getting a high awareness of it. I think the next step, and it wasn’t planned, but the opportunity arose to sponsor a young girl. She was I think 13 and a half at the time, going to a school in a very underprivileged area, but I really liked her energy, I loved her passion and I said to her mom and dad, we would love to sponsor her. We would love to change the trajectory she’s on, we want to give her opportunity. She came to live with us four and a half, nearly five years ago, we got her into a great school, she started in grade eight and we’ve really mentored and looked after her, I suppose as a ward. It’s been really amazing to do it, I think if every middle class family in South Africa could take on someone and change that family’s trajectory, we would have an amazing Ubuntu feeling about what we’re doing, but for us it’s been a wonderful experience. She’s an amazing woman, she’s just matriculated, she is about to start at Vegas school and she’s just blossomed. Under key and guidance and mentoring, it’s been such a rewarding experience. It was a difficult experience at time because my girls are … my oldest school is nearly nine years younger, so I suddenly got a ready made teenager, but in terms of the rewards and to see someone blossom and I’ll never forget him a check dance and may last year we’re here had arrived a true woman and she just looked amazing and just was so happy with her progress. It was really rewarding and I think it’s really taught me about growing young leaders. That’s definitely helped to have real life experience like that. Lisa Linfield: 26:05 That’s amazing because for most of us we sit there and go, how would we fit in an extra set of left clubs? How would you fit in an extra set of dynamics in our family, but yet you’re saying that the reward has been far greater than all of those day-to-day kind of logistical issues. No matter how wonderful a human being is, you’ve still got to get them to school, you’ve still got to deal with another human being. How did that change you at work? Wendy: 26:33 I think it did actually. I think I’ve taken a lot more time to work with young females across the patch and so I informally mentor a lot of young females in terms of career guidance, especially talking about balance and work life balance, opportunities, hard to evaluate opportunities around health, around general approach to life. I think it’s created a lot more of an awareness and an accessibility because I feel like I’ve also done a little bit more and I’ve understood a bit more. So I think it’s been wonderful and I think that getting involved with someone like that is truly transformational in terms of what it does to yourself as well as your family. Lisa Linfield: 27:20 Coming back to the workplace, so your first work environment was very supportive of women, but as you have dealt with other companies and other places and move jobs and things like that, have you experienced a male dominated culture and a ceiling for women? Wendy: 27:37 I think I’ve experienced it at some of the different banks when I worked even as a consultant in terms of who was sitting around the table, were there any females, were the females playing particularly impactful roles? And it’s happened often and especially at some of the more traditional institutions and you really do get a sense that you in the minority and that your voice is not heard. Even though there’s many progressive companies and very transformed companies, I think we still lack a lot of that female leadership which is demonstrating we’re either supporting females as leaders and we also giving them their rightful role in some of the leadership structures. I think it’s still a massive issue, it remains a massive issue I think through all corporates in South Africa. There’s not many female EX-CO members, there’s not many female board members, there’s much less females in IT than they should be. They’re much less engineers, they are much less entrepreneurs like yourself. So I think it’s pervasive still, I think it’s the role, as I said before, of both males and females to try and correct that. I think in many respects there’s much more of a focus or should be more of a focus on the gender equality issue then perhaps on other issues and the way you feel it is quite subtle. I’ve had numerous experiences. One is as a consultant, I worked on a mind shift. I was the only female. They had to redo a toilet from a male toilet into a female toilet for me and they … It’s just so in your face in terms of language, approach, everything about a mineshaft is male. So I’d say I had that extreme where it just was the most … I mean I guess it creates a lot of awareness, right? You really start feeling, and so I was in a global consulting firm and I was working in a mineshaft and I was feeling it. So it creates a higher level of awareness and I think that’s true again sitting in boardrooms, doing big presentations to different EX-CO members again, most of the time male, most of the time coactive the older generation. I think things have come along nicely. Just by the females that are mentoring across the different race groups, you’re seeing a lot more females. My ongoing issue of course as the dropout and as you get more senior and as people have children and as you have a lot of different constraints in a family, I think that that dropouts is horrific. The one thing I could say that even though being a single mom is terribly difficult and I take my hat off to most single women who are managing, for example, a woman I met with on Monday, she has four children and she’s a single mom, is that they are really blazing a path as well out of necessity and need. But you have amazing single females who are also blazing a path, so I think you’ve got single females who are forced to do it out of absolute basic necessity and then you’ve got a lot of females now who are seeing it’s possible to have both a career and a family and I think if we can show that more and if we can have the right work practices and I think that’s the most important thing. The sympathetic, empathetic, flexible work practices around both male and female, I think we’ll see a lot more female leaders. Lisa Linfield: 30:59 I think so but I think one of the challenges is getting people back in after that period of young children. Having twin six year olds, young children need you in the afternoons and things like that whereas my 10 year old and he gets home at 5:00 at night, sometimes later. I could do a whole work day before she needs me. Whereas for my twins they do need it and I was very blessed in bank in South Africa to have spent probably six years working flexitime. But one of the things was that my first boss allowed me flexitime and then my boss has changed, not me. I kept the same or an evolving,= but similar role and my bosses kept changing and so they inherited a half day Flexi executive and I think that’s one of the challenges is that they then were able to learn that I could deliver at the level of any of my colleagues in half a day. But it’s a challenge to find executive roles that are half day or that allow half day if someone doesn’t know you. I’ve always been blessed, my bosses have inherited the half day or otherwise for other bosses. I’ve worked Flexi time because they know what I can deliver. But that’s the challenge is do I want to come in at an admin type role, which can be half day back to work within. Maybe I won’t because I’ve been an executive and I’ve had a great career. I’ve taken three, four years off and a large piece of it is confidence first of all is the confidence to go back into the workplace because we doubt ourselves. But the second piece is available roles that are flexible at that level because I remember one of my epiphany in starting this company was when teen Jays play one naple match in an entire term. And I thought well what happens when the twins get up? I’m going to say once every three years I can watch one of your Naples matches and for me that wasn’t what I wanted. I remember speaking to my boss about it and he said, “You can take every Friday off.” So I said, well not really because first of all we have our leadership executive meetings on a Friday when the naple metals are. And I said taking the, I run a team of people and if I’m off every Friday afternoon they might also be off every Friday afternoon. It worked better when I had full Fridays off and then when people used to say, well the boss gets Friday’s off, why can’t I? I’d say, well great, lets take one fifth of your salary and take it away and then I’m happy for you to have a four day week. How do you think we can create meaningful jobs that are half day or Flexi time at senior positions? Wendy: 33:35 I think this is an age old problem. I think that the very formal half day jobs are very difficult to find like you said. I mean it’s a terrible, terrible challenge for women wanting to come back with a very set hours and I think that’s an ongoing issue and I’ll come back to that. I think also the ongoing issue is very much women, and to to some extent what you did is not asking for it. So a lot of the time women will not ask for it and they’ll kind of carry on trying to manage it, juggling 15 balls or whatever. I think one is that, do we have enough of the roles and the second one, are we asking enough with that flexibility. And I guess the third one I stole this age old problem that if you’re working half day or some flexible hours that your career won’t progressing as fast as everyone else and I think that’s also a scary concept for a career woman. So I think a couple of things that we did, when you come back from maternity leave and we’ll talk about flexible afterwards, but when you come back from maternity leave, we always assigned person with a buddy or a very senior person in the organization that would look after them and make sure that they were being positioned in the right roles, that they were being valued for the impact that they can make and that they really were helped to reintegrate back into the workforce. I think the first thing is to think about your women that are leaving. 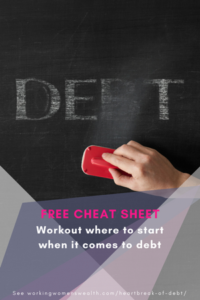 Are you keeping in contact with them while they’re on maternity leave? Are they still engaged with you as an organization and how are you seamlessly bringing them back into the organization? So I think one is just getting over that initial hurdle of coming back. I think in terms of flexible work, I think what’s working more these days is an ability to have flexible location and to move around your hours. If I look at 10 years ago versus today in terms of clock watchers, I think our clock watchers have got less and I think people are … If you spoke into the senior leadership team and they understand your requirements be it male or female, sport or children, or whatever it is, I think there’s a lot more … because we are enabled with technology, I think there’s a lot more understanding and empathy for flexible work. So the Friday afternoon example on my team, people have a choice if they want to come into the office and stay the whole day on a Friday or leave a bit early, that’s something we’ve all agreed to. I know that guys put in the hours, we all work over time so there is no male or female thing there, it’s like a team thin. 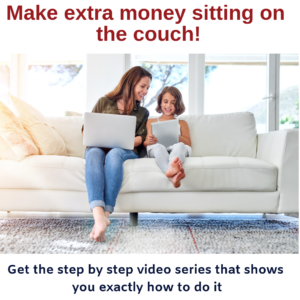 It’s much more about flexible hours, work from home when you can. Lots of people travel through traffic, don’t sit in traffic for two hours. So I think by making it not just the female thing as well, you have a general culture of non micromanagement, flexible work hours, I think you can actually then have a lot of your roles. I do however think that doing only four hours a day and still having meaningful role remains a problem. I think saying I’ve got an eight hour day and I’m working at flexibly or are probably doing a four day week probably works a bit better, but your example of four to five hours a day, tough role to get right. I don’t know, is it a reclassification of role responsibilities as a splitting of roles? I don’t have the answer. It’s a very difficult one. What are your thoughts? Lisa Linfield: 36:55 It is a difficult one. I was fortunate enough to do meaningful roles in five hours a day. I never found the four day worked, five hour day was better. I think there was a key element in it which is I’d had quite a profound moment a couple of years before when we were on a leadership offsite and we were asked to write on a piece of paper, what is the one life leadership lesson you would share with other people in the room and one of the guys there wrote, “Your career is a marathon and not a sprint.” And contextually over the years, it was right in the beginning of my career, at that stage. When I first joined, he was theoretically a level below me, but had a massive job and he had just come to be my colleague and his context was a great career. Then going to help on the integration of an acquisition of another bank and finding at the end of that acquisition that there was no job for him, meaningful job, and he felt his career when severely backwards from there. He later became my boss and is a phenomenal leader, but I think it’s something that I had to hold on quite a lot to was that I couldn’t have the same type of job because I couldn’t lead a lot of people, I have the responsibility of leading a lot of people, and produce work in four to five hours. But I had a longterm view that this career of mine is a marathon and that this is a period and a phase and it will end. So already my children have gone from 12:30 to 2:00 finishes, which is, you know, I mean another hour and a half is a huge change in my life. So this is a phase and it’s going to end and my career is not just this phase. Was it frustrating through that whole period of time? Hugely frustrating. Wendy: 39:27 If you’re undervalued? Lisa Linfield: 39:29 Oh, completely. But also in reality, there is only certain things you can do in four, five hours a day so I think you also have to be mindful of that this is a phase. When the twins were four, I went back to work full day and took on big roles again and all of that, but I appreciated the fact that I had never stepped off the corporate train or the working chain. That I had always remained engaged, engaged in my company, engaged in my roles, I’d always delivered value in the roles that I played, and also I’d managed to peg my salary because I never had a break in employment. So I pegged my salary such that when I came back full day, it went from five eighths of a salary to eight eighths of a salary, because I was working five hours a day to eight hours a day. Wendy: 41:11 And also the company because I think it’s very much a cultural thing. I think if you have the right leaders in that company with the right behaviors, who are staying engaged with you, then it’s a pretty seamless process to come back into a corporate life. I also think though that the workforces are changing and maybe our children aren’t going to have the same problem where people are going to be working more remotely anyway, where people are going to be more separate from their workplace, which is more seamless to come in and out of the workforce. So I always wonder what will that work force look like in 10 years’ time and how changed will it be? And I think we’re going to see quite a few changes. If you think about the new roles that our children need to get chained up for, data scientists, UX designers, robotics experts, et cetera, maybe it’s going to be different. Maybe it’s a bit more remote, maybe it’s even more flexible, but right now in today’s framework, I think a lot of work has to happen both from an employee and an employer perspective to stay engaged but I don’t have an answer on the part-time role, that’s the tricky one. I think flexible hours, like I said, huge supporter, even taking unpaid leave when you need to, if you’ve gone over your leave, I’m always open to that. And creating a space for women to have a little bit of a mini sabbatical at the end of the year like what really happens in December, January anyway, so giving people the breathing space. I think we keep women in their career longer if you give them the flexibility. Lisa Linfield: 42:40 So I’m a leader at any level in my corporate, how would you advise me of the change I can make in this process? I’m just stuck in the middle of a company, how can I change the world? What would You want me to put in place? Wendy: 42:57 I think there’s I guess the formal staff, and then there’s the informal staff. The formal staff for me is most companies, big corporate have all these flexible work policies, are they being discussed with the team, both male and female? Because I don’t like this just to be a female thing. So I think the most important thing is the workplace understanding your home life, understanding your pressure, is an absolutely key thing for ongoing employee engagement. So understanding your constraints at home, whatever they might be. It could be sport driven, like I said, it could be looking after a family member. Those are the sort of bedrock of engagement because you’re getting to know the person and if you’re getting to know the person, you’re getting to know that you’ve got twins and they need to be fetched at half past 12. If you’re not having those conversations with people, then it doesn’t matter what your policy says because you’ve got no idea how to apply them. I think the bedrock is getting to know each other, getting to know their constraints, and then finding ways to make life possible that you can keep really good people. I think one is the formal side in that we often go and say there’s a great … I can’t remember who has the assessment, there’s an engagement assessment, and I often use it still to this day where it says these are all different things that you get, what’s your priority and how’s it being fulfilled right now? So if you look at it it’s work opportunities, it’s work life balance, it’s pay, it’s leadership for example. What’s your priority and how are you ranking that currently or will? You quickly find out who sees money as a priority, you quickly find out who sees balance as a priority, and you certainly find out who cares a lot about the leadership and job opportunities and you can use that as a very quick tool to see what makes people tick and how are you actually fulfilling that right now. That’s one thing, that’s more on the formal side of things. Obviously supportive of flexible work I think is absolutely key. I think within that is making sure you give equal opportunities to your staff and so you’ve got to always evaluate, am I giving this to this person and am I weighing them up against everyone else who could be possible and have I got a gender bias and do I think this male can do the job better than this female from a gender bias perspective. I think there’s a continuous awareness of style, it’s awareness of flexible work programs, and it’s awareness of any gender bias that you might bring into the workforce. Then informally I think it’s very much around the stuff we spoke about. I think it’s standing up for women at work, it’s calling it when it’s not fair, it’s being aware of what’s happening to female colleagues and male colleagues, but particularly females. So it’s around encouraging your female colleagues to take risks and being their air cover if things go wrong. I think it takes a lot of self awareness to do this and empathy and I think that’s where the growth point is for both female and male leaders is around do you have the right self awareness and do you have the right empathy and integrity to really drive this and I think that’s where the growth is for all of us. Lisa Linfield: 46:17 You mentioned about how we raise our little girls differently. How do you raise little boys differently? Wendy: 46:23 I think same principles. I think first of all, emotions. There’s nothing to be scared about emotions, so I don’t want us to be growing up as emotionless soldiers. So how do we acknowledge emotion with our boys, how do we let them play freely in a room full of toys and don’t make comments if they play with a doll or in the kitchen or whatever? So how do we remove gender bias from the way they’re brought up? Big boys don’t cry, that’s the most awful thing I’ve ever heard in my whole life. I think we need to develop boys that are more emotionally aware and I think we need to demonstrate to them what males and females can do and they can do it equally. I think the gender toy thing is a huge one for me at the moment and really crossing the boundaries that boys don’t get guns and girls get dolls, I mean it’s just ridiculous. How do you create awareness and your home around boys cooking around girls making things or engineering things out of blocks or whatever it might be, how do we create that equality and how do we make sure they feel like they’re treated equally? I think the awareness stuff we’ve been talking about in terms of princess culture, I think it’s definitely around the movies you watch the programs you follow, the apps you download, the way the school communicates, as parents we need to be aware of gender bias at the school. I think we can be advocates of warriors and not advocates of princesses. Lisa Linfield: 47:52 I had a wonderful moment with our school recently where our girls were a master chef for three days and they had to make a barbecue and there was a fascinating apparently interaction between the male facilities manager whose responsibility is to keep everyone of the girls safe. And the teacher who asked him, because they didn’t want to allow them to make a fire because obviously from a health and safety perspective, and the teacher said to him, “Would you have the same view if they were grade five boys and not grade five girls?” And it was a fascinating question, it is holding each other accountable. Where do we have these views that a grade five boy , about 10 years old, should definitely be able to make a fire and a little girl should not be able to make a fire. It’s being more aware of this environment that we live in. Wendy: 48:49 I’ll take an example close to both of our hearts and in terms of water activities at the river. I find that we’re not talking to certain people it’s all okay to get a boy a little Rubadeck with a small engine, but it’s completely frowned upon about getting a girl that. And girls are more at that age, normally more emotionally mature and more rational so we should be encouraging our girls to sail or drive a little boat. But naturally people go, “Ooh, I don’t know about that.” So I find that fascinating that … and I guess that that self awareness, you’ve got to continuously put ourselves in check because we were brought up like that and our peers were bought up like that. So how do we continuously remind ourselves, are we supporting a princess culture or are we supporting a warrior culture? Lisa Linfield: 49:38 Yeah, and I think one of the key things of worriers is the courage and the courage to take risks and the fact that I always say the word brave, if you’re going to be brave, you have to have fear. You have to learn how to feel it, and you have to learn how to take courage to get through it. The process of fear. Courage, action is, is a massive one because most people only get stuck in fear, they never get through the courage to do something despite the fear and then the action to change what it is and I think that’s for all of us. Wendy: 50:14 I call it like grit, so the grit part there. I think it’s developing grit in our girls, and one other piece of research I was reading was saying that when girls actively participate in school sports, then you have much of a leveling of this gender bias and less of it because they’re taught through team sports to have the grit to overcome nervousness about a match, to go through pain, to have this toughness afterwards, to work with the other female team members. And I think it was a great example of how we can encourage certain activities that’ll develop grit. I mean, you know, when they go on a school camp, and I think I’m having my first one this year with Francesca, when you go there, they get cold, they’re away from their parents, they’re camping, we should be doing more of that and establishing the grit. I think doing water sports, I think doing horse riding, I think doing acro branches, one of my favorites to take the girls, and paintball is getting them right out of their comfort zones. Lisa Linfield: 51:15 Yeah. Jason and I had a conversation this week about the fact that she wants to do an extra sports and it’s matches on Wednesday night and her cycle test’s on Thursday and we were having this debate of should she or shouldn’t she do it. My view to her was I think team sports are really important and if this is something you like, I think it’s as important as your studies. We weren’t there to studies full because we will manage you such that you are ready by Monday instead of last minute.com on Wednesday night having to put everything in. But I think if you are prepared by Monday or Tuesday, before a test to have a good game of sport, come home, shower, change and go to bed, I think you probably be much better than if you try to shove all the last minute information in your head. So I think it is a lot to do with encouraging our kids to value the roundedness of education rather than just writing a test and also just doing things that you’re good at it. If you’re good academically it’s easy just to do good academically. It’s important for me also that my children do team sports, that they learn to play within a team and that they learn to commit to something and even if you don’t feel like waking up at 6:00 in the morning to go to swimming training, that you do it and you just go through it because actually it’s quite fun and actually it’s good to be part of a team. We are about to close. In closing, are there any last thoughts you’d like to leave with the listeners? Wendy: 52:48 I think the big one for me is stay strong in the workforce in terms of what you need to do, stay connected, use your fellow female colleagues as a great network and support and be that role model that you know you can be. Then I think the big one, which iS becoming more and more in my life, is to guide our children. To guide both males and females, to show them their potential, to bring them up without bias and particularly important in South Africa, but to bring them up without bias and for them to know they can do anything that they want to do. 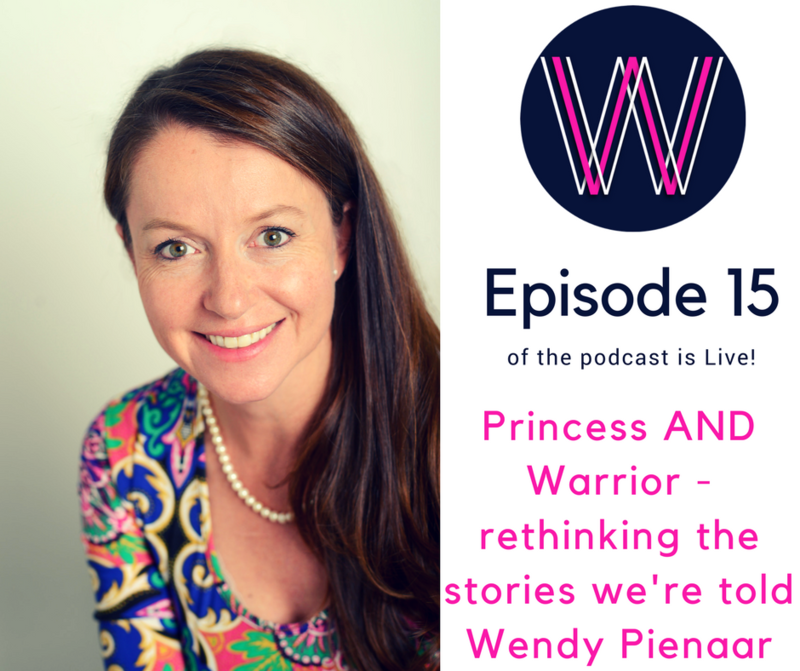 Lisa Linfield: 53:22 That was Wendy Piner talking to us about the princess warrior. I think it’s a fantastic concept and one that I think we all need to balance in ourselves. Sometimes we’re too much worrier and not enough princess and sometimes we too much princes and not enough warrior, but we all have that deep courage of a warrior inside us and I love that concept and that thought, that there is that warrior sitting inside me. So thanks so much for listening today and I hope that you’ll have a great week and if you want to find out more about any of the things that we’re talking about, go to our website, workingwomenswealth.com. I’m Lisa Linfield and this is Working Women’s Wealth. Have a great day.